Finnish company HMD global launched Nokia X5 (aka Nokia 5.1 Plus) at an event in China last week. At present the phone is limited to Chinese market but it seems that the phone will soon be launched outside of China. Company’s Chief Product Officer (CPO), Juho Sarvikas, had shared a promo video of the device via his personal twitter handle and received several comments on the same. One of the comments read “WE NEED THIS ONE at least outside of china IN SRI LANKA AND INDIA”, to which Juho replied, “Yeah, I don’t think we need to do a poll on this!”. This clearly hints that the company is planning to launch the device outside of China but don’t know when. The Nokia X5 sports a 5.6-inch IPS LCD display panel with 720 × 1520 pixel resolution and 19:9 aspect ratio. The display comes with a notch at the top and there is no option at present to hide the same. The display also has Corning Gorilla glass for protection against scratches. In the camera department, you have a vertically stacked dual rear camera set up comprising of 13MP primary sensor + 5MP secondary sensor with dual-tone LED flash. The front hosts an 8MP sensor for selfies and video calls. Under the hood, the device is powered by an octa-core MediaTek Helio P60 SoC along with an ARM Mali G72-MP3 GPU for graphics. There are two memory variant options available for the users- 3GB RAM + 32GB storage and 4GB RAM + 64GB storage. There is a provision to expand the storage up to 256GB using a microSD card. The connectivity options included in Nokia X5 are WiFi, Bluetooth 4.2, GPS, GLONASS, BeiDou and a USB Type C port. It runs Android Oreo 8.1 operating system out of the box and is also a part of the Android One program. All of this is backed by a 3,000mAh Li-pol battery which can last a full day under mixed usage. The phone comes in three color options- Dark Black, Glacier White and Baltic Sea Blue. 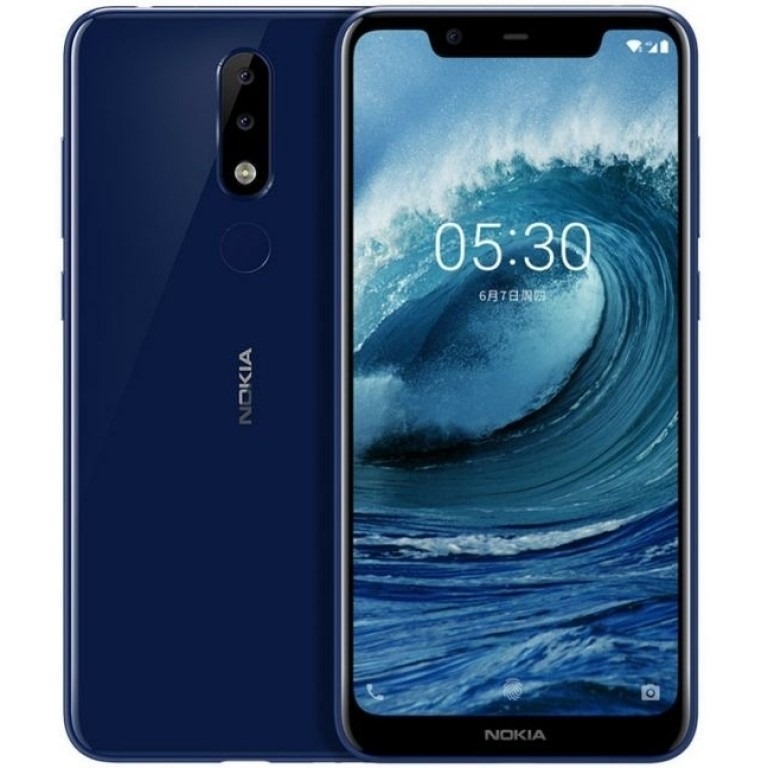 The Nokia X5 3GB RAM+32GB storage variant is priced in China at CNY 999 which is roughly Rs. 10,100) and the 4GB RAM+64GB storage variant is priced at CNY 1399 which is roughly Rs. 14,200. Of course, the price in India won’t be exactly as converted here but will be more or less in the similar range. As mentioned earlier, there is no official word on the availability of the phone outside of China, but it may hit the Global markets (especially India and Sri Lanka) soon. Stay tuned with us for more updates on Nokia X5 launch in India.